Millennials, Generation Z: are they really all that different? The answer is a resounding yes—and if you want to market to each group effectively, you’ll need to internalize their defining traits and account for them in your marketing strategy. 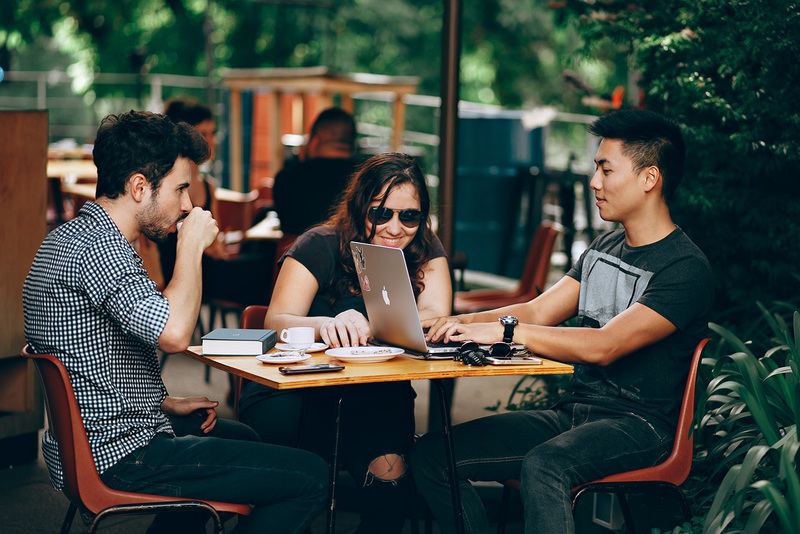 While the terms can be thrown around loosely, Pew Research Center recently confirmed that millennials include anyone born between 1981 and 1996. Those born in 1997 and beyond belong to the post-millennial generation, also known as Gen Z.
Let’s look at some differences between the two generations, and explore how those differences can inform your marketing strategy. Online shopping: convenience or experience? The internet is the millennial’s go-to shopping vehicle. In a recent study by Ernst & Young, 74% of millennials said they shop online at least once per month. Meanwhile, only 49% of Gen Zers shop online monthly, preferring the in-store experience. They like to see a product in person so they can assess its quality, and they especially enjoy in-store perks like makeup tutorials or exercise classes. As more Gen Z-ers enter adulthood, we may see a rise in their online shopping habits, but the current divide means you may not want to close up your brick-and-mortar store just yet. At the same time, you’ll want to improve your online shopping experience to reach a wider millennial audience. Optimizing your site for mobile and improving navigation are just a few steps you might take. Bargain shopping and ads: to coupon or not to coupon? Millennials love a good bargain, and they’re very aware of online ads. By contrast, Gen Z has a greater tendency to ignore advertising campaigns, and most won’t go out of their way to get a coupon. With that in mind, successful marketing for millennials involves producing smart, personable ads and offering plenty of coupons and discounts. But if your target audience is Gen Z, they might not be quite as impressed with this strategy. Brand culture: playing favorites or fighting for independence? Gen Z prefers independence over brand culture, while millennials can be deeply invested in their favorite brands. That’s why many Gen Z marketing campaigns focus on the individual. Or, they offer ways for customers to integrate themselves into a campaign on their own terms (through a Snapchat filter, for instance). Millennials, on the other hand, tend to show more loyalty to their favorite brands, and they often respond well to rewards programs and other incentives. Many are willing to pay more to buy a product from a brand they like, which is why a good marketing approach for millennials emphasizes building trust and rewarding loyal customers. Marketing isn’t one-size-fits-all. But if you incorporate your customers’ differences into a strong marketing strategy, you can develop a brand that everyone will appreciate. Need help catering to any generation? Liqui-Site can help you develop a rock-solid digital marketing campaign to drive revenue and heighten brand awareness. Contact us today to learn more. Provide some background. Then we'll talk and deliver a thoughtful, fixed quote. Liqui-Site Designs an eMazzanti company.